As a Ranger, Sgt. Thomas R. MacPherson selflessly lived his life for others and distinguished himself as a member of the Army’s premier direct action raid force and fought valiantly as he served his fellow Rangers and our great Nation. 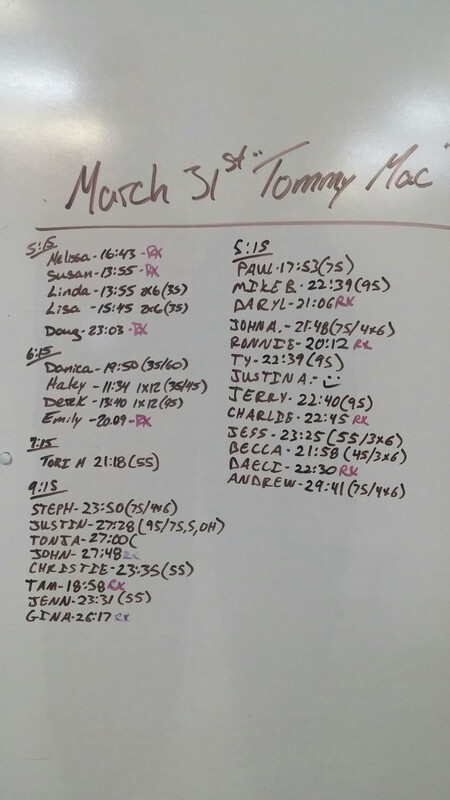 Please note that it is appropriate to scale this WOD to one time through the six barbel movements and 6 rounds of burpees or to decrease the weight in order to finish under the 30 min time cap.